The lifespan of most dog breeds has been described in the past. The most frequent causes of death, such as cancer, cardiac and urologic diseases and many others, have been described using statistical methods. Young dogs commonly died from gastrointestinal and infectious causes whereas older dogs died of neurological and neoplastic causes. 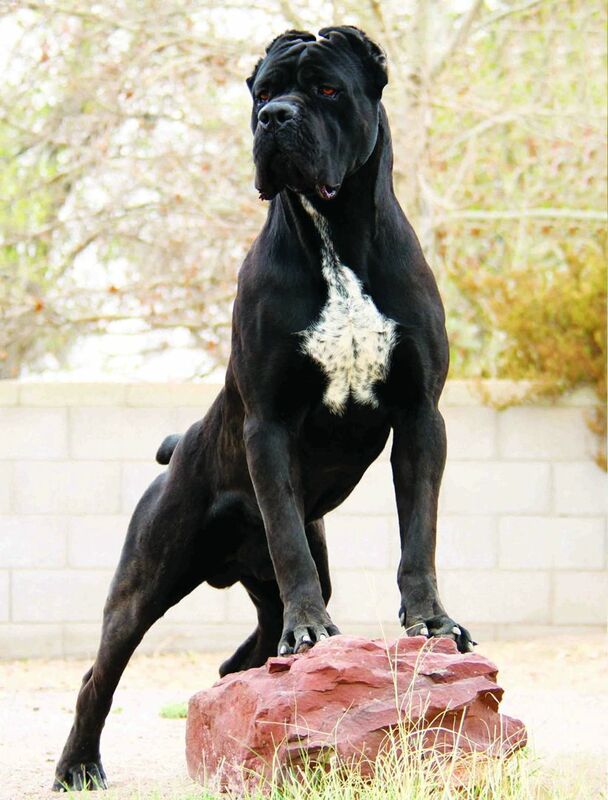 However, the lifespan data of the Cane Corso Italiano wasn’t described using a well-defined study until now. But before we tell you about the ground-breaking study, we need to know a little about the breed. The Cane Corso Italiano is a direct descendant of Canis Pugnax, molossian dog breed known since ancient Rome and used in guarding and warfare. The breed didn’t disappear after the decline of the Roman Empire but it began to be used for hunting and guarding properties. Ancestors of today’s Cane Corso dogs guarded fields and homes of medieval farmers. After transformation and modernisation of agriculture, the number of Cane Corso dogs was constantly decreasing and the breed almost became extinct. Few dogs survived in Apulia (a southern province of Italy). A rescue of this breed began in the 70’s of the last century. Professor Francesco Ballotta and Dr Antonio Morsiani found 19 Cane Corso dogs and started with crossbreeding. The first breed standard was created in 1987, when about 100 dogs of Cane Corso Italiano breed were registered. The Cane Corso breed was claimed as an Italian national dog breed by ENCI (organisation overarching Italian kennel clubs) in 1994. The International Cynological Federation (FCI), which unites most of developed countries (except USA and UK), officially recognised this breed in 2007. This decision made the Cane Corso dog breed one of the youngest breeds. Cane Corso breed is becoming more popular every year and number of breeders is increasing. This breed is the most represented molosser breed at international dog shows and belongs to 10 most represented breeds of all breeds. A median lifespan has been determined for most of the recognised dog breeds. A median age at death of Cane Corso breed was determined for the first time by our research group in 2017 and published in the international journal Open Veterinary Journal. In a cooperation with 25 kennels from all over the world, the median lifespan of Cane Corso dogs was determined for the first time on a statistically significant group of 232 deceased dogs. We obtained data on the deceased dogs from 73 kennels and individual owners from 25 countries. 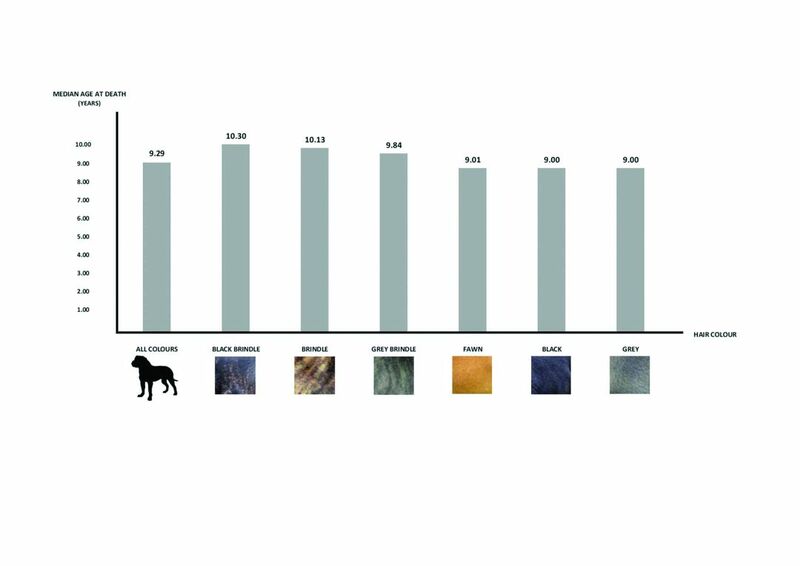 The collective sample of deceased dogs included 114 (50.22%) male and 113 (49.78 %) female Cane Corso Italiano dogs, 62 (26.72 %) were black dogs, 38 (16.38%) brindle dogs, 35 (15.08 %) black brindle dogs, 27 (11.64 %) fawn dogs, 26 (11.21 %) grey brindle dogs, 31 (13.36 %) grey dogs and 13 (5.60 %) other colour dogs. The possible relationship between median lifespan and hair colour within one breed has so far not been examined. 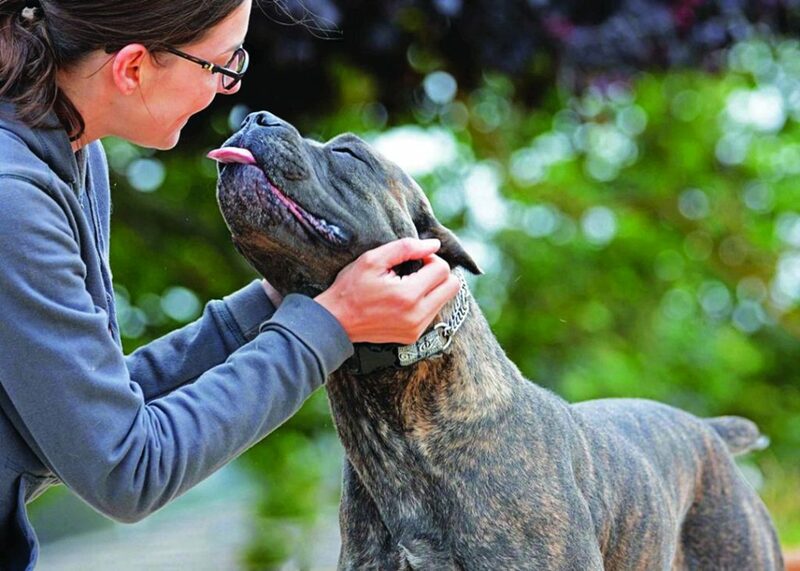 The median age at death of Cane Corso dogs was found to be 9.29 years. The research showed a surprising result after determining the median age of different colour groups. Our research group determined that the longest living group are black brindle dogs (10.30 years), followed by brindle dogs (10.13 years), grey brindle dogs (9.84 years), fawn dogs (9.01 years), black dogs (9.00 years), grey dogs (9.00 years) and other colour dogs (8.09 years). The relationship between median lifespan and hair colour was published for the first time in a scientific literature by our research group. This finding has not only a significant theoretical relevance for a possible identification of genes responsible for longevity, but it is also very important for breeders who want to achieve a life prolongation of their dogs.